Australia’s biggest telecommunication company, Telstra, and Philippines’ multi-industrial company, San Miguel Corp. (SMC), are said to be making plans to make a joint venture in the country. Tesltra shared that the talks are still on going and the plans are not yet finalized. According to Damien Coleman, Telstra corporate secretary, it is still not sure if it will push through as talks on the matter are not yet final and no agreement has been reached yet. 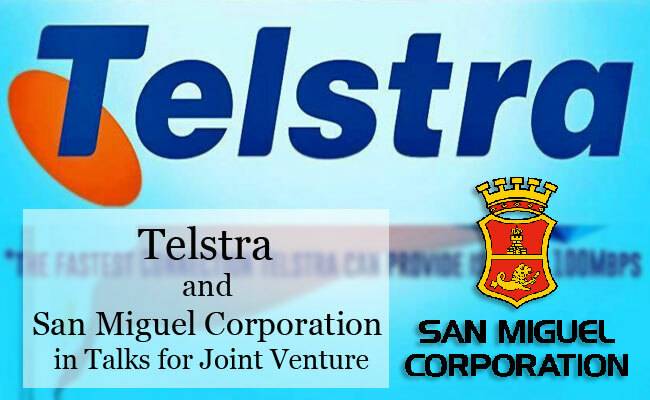 The company admitted that there are noted speculations that Telstra is considering an investment in the Philippines in partnership with San Miguel Corp. For a wireless joint venture. Financing is still being studied if ever the joint venture pushes through. While the Melbourne-based phone company clearly states that the realization of the venture is still not yet sure, there are reports that it is already selecting banks for its expansion project funds. On the other hand, President Ram Ang of San Miguel shared that there is a need to break the Philippine telecommunications duopoly. It was in July when he said that the Filipino subscribers need more options in the telecommunication industry, thus there must be a third player. It was also in July when the SMC merged their telecom units into Vega Telecom Inc. and acquired around 223.155 million common shares of the Liberty Telecoms Holdings Inc which represents the Liberty’s 17.25 percent of common stocks. Vega currently holds 51 percent of Liberty Telecoms capital stocks. Liberty Telecoms had been in a corporate rehabilitation program in 2005 as it had experienced lack of capital to continue running its business. Vega, as per SMC, recently acquired Express Telecommunications Inc. and had put an investment in High Frequency Telecommunications Inc. SMC is also is taking part in various telecommunications business with Bell Telecommunications Philippines Inc. and Eastern Telecommunications Philippines Inc.